The European Commissions Progress Report on Turkey for 2011 highlights crucial steps to be taken by Turkey in view of EU membership. However it had to better emphasize the Turkish governments increasing deficiencies in the fields of independence and impartiality of the judiciary power, individual freedoms, freedom of press, women rights, social policy and free and fair market economy. On the other hand, the report fails short of pointing to the EUs own contradictions in the unjustified blocking of negotiation chapters because of Southern Cypriote government and the France. We expect the European Commission to more firmly defend the European values and principles in dealing with Turkey. – Firstly, a renewed approach in Turkey to the EU process avoiding partisan and short-sighted political calculations and promoting at least bi-partisan or wider political and social consensus. The example of Croatia, having a monitoring committee led by the opposition party is very inspiring in this respect. – Secondly, a political agenda adopting itself to the requirements of a democratic country which has to focus on the growth, jobs, reform of the judiciary system, educational reform, energy security, EU harmonization process and global competition policies within the framework of the EU 2020 Strategy. – Thirdly, better communicating to the Turkish public that the EU process is about upgrading the social standards, democracy and economy. 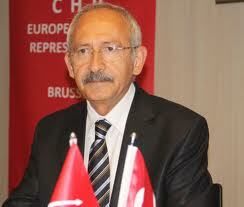 – Fourthly, the continuity of Turkeys pro-European, constructive and result-oriented position on Cyprus. (Lets keep in mind that Turkey supported the UN peace plan as it was asked by the EU. The EUs inability to keep its promises on Cyprus severely damaged the pro-European trends in Turkey). – Last but not least, we also ask to the EU politicians to express their support to Turkey, addressing directly to the Turkish people. The confusion between supporting Turkish peoples European future on the one hand and supporting a governments political destiny on the other hand should be avoided. This also time for the European politicians to demonstrate leadership in telling the truth to the European public on the requirements of the global situation: in fulfilling the membership criteria Turkey will become a crucial member of the European Union enhancing its international economic and political power. Enlarging the EU to Turkey is in the interest of the European citizens future in an increasingly competitive world. Turkeys current problems can be better solved within the EU process, which should be re-energized by both the EU and Turkey through more rational policies and without questioning the target of membership. Lets do not forget that the reinforcement of the Turkish democracy is a common European interest for all of us.